In case your iPhone 4S or up hasn’t notified you, there’s a new iPhone update available and it comes packed with some really cool stuff. If you haven’t upgraded yet, head to Settings > General > Software Update or upgrade via iTunes on your computer. 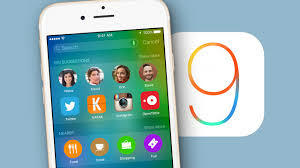 Here’s 9 things you didn’t know your iPhone could do with iOS 9.